In 1933, Albert Einstein was forced to flee Germany pursued by Nazi assassins. During his flight, he sat for a portrait by sculptor Jacob Epstein. The result is regarded as one of the finest portrait busts in 20th century art – and is currently on display at the Stanley and Audrey Burton Gallery, Leeds. How this sculpture came to be is one of the most dramatic stories in the history of art. The story begins in summer 1933. Einstein had been falsely associated with a book entitled The Brown Book of Hitler Terror which outlined some of the worst Nazi atrocities to date. Anti-Semitic German newspapers printed shocking stories about “Einstein’s Infamy” and dismissed his Theory of Relativity as “Jewish physics”. One newspaper featured a large photograph on its front cover with the words “Not Yet Hanged” emblazoned across it, and a reward of £1,000 was offered by Hitler for the assassination of the physicist. Jacob Epstein, Albert Einstein, (1933). Photo courtesy of the Stanley and Audrey Burton Gallery. The real threat to Einstein’s life became unbearable, and he feared for the safety of those who had hidden him in Belgium. He made the heartbreaking decision to leave his family and friends behind in Europe for the sanctuary of America. 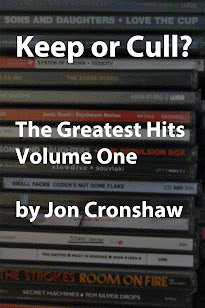 With the Nazis calling for his blood, however, this was no simple task. A plan was hatched by Einstein’s wife Elsa to have him secretly smuggled out of Belgium, and across the Channel to England in his first step towards reaching America. She contacted the Naval Commander and MP Oliver Locker-Lampson, a member of the UK’s refugee committee, to arrange Einstein’s covert rescue. Locker-Lampson convinced a reporter from the Sunday Express to travel by boat to collect Einstein under the cover of night, with the risk of capture or death as a real possibility. With the mission a success, Einstein was taken to a small secluded shack on the outskirts of the seaside town Cromer on the east coast. It was here, holed up in a run-down shed somewhere on the windswept Norfolk coast, that Einstein was to wait until arrangements could be made for him to leave for America. 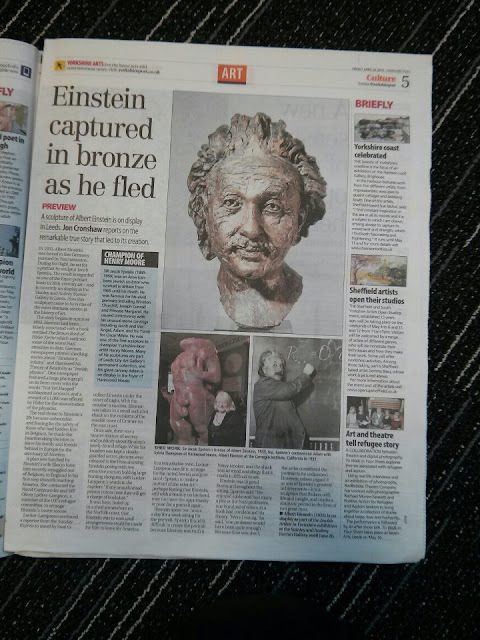 In a remarkable twist, Locker-Lampson saw fit to arrange for the noted Jewish sculptor Jacob Epstein to make a portrait of the scientist – perhaps fearing that Einstein, still with a bounty on his head, may not have the opportunity to pose for a portrait again. Einstein spent two hours a day for a week sitting for the portrait. 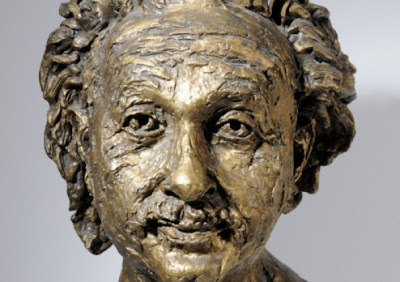 Epstein found it difficult to create the portrait because Einstein was such a heavy smoker, and the shack was so small and dingy that it made it difficult to see. He requested that Einstein not smoke during the sittings and that the two female bodyguards remove the door from its hinges to allow natural daylight into the shack – they sarcastically asked if he’d also like them to remove the roof. Because time was short, the artist considered the portrait to be unfinished. However, others regard it as one of Epstein’s greatest achievements – it is a sculpture that flickers with life and insight, and marks a dramatic period in the lives of two great men. 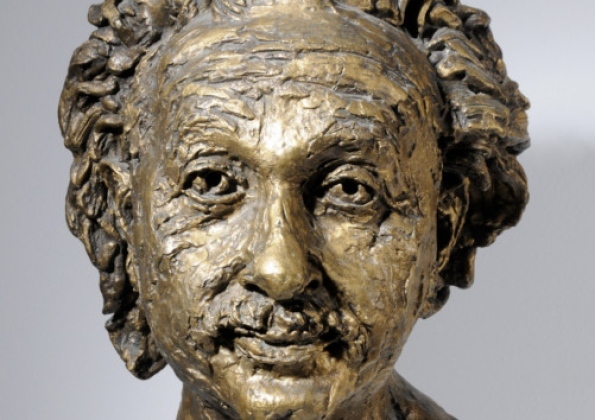 Albert Einstein (1933) is on display as part of the Jewish Artists in Yorkshire exhibition at the Stanley and Audrey Burton Gallery until June 20. Sir Jacob Epstein (1880-1959) was an American-born Jewish sculptor who worked in Britain from 1905 until his death. He was famous for his vivid portraits including Winston Churchill, Joseph Conrad and Princess Margaret. He caused controversy with his unusual stone carvings including Jacob and the Angel, Adam, and his Tomb for Oscar Wilde. He was one of the first sculptors to champion Yorkshire-born artist Henry Moore. Many of his sculptures are part of Leeds City Art Gallery’s permanent collection, and his giant carving Adam is on display in the foyer of Harewood House. This article was published in the Yorkshire Post, April 26, 2013.